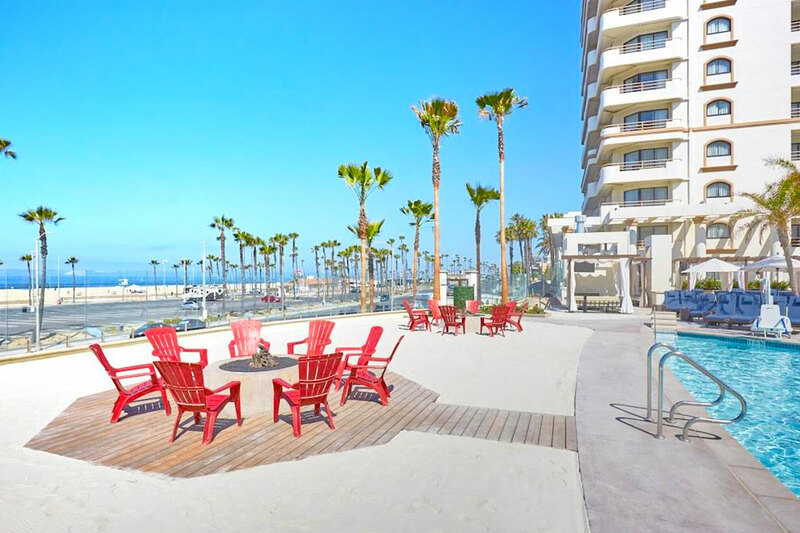 Located on the beautiful sands of Huntington Beach, The Waterfront Beach Resort is a relaxing seaside oasis. 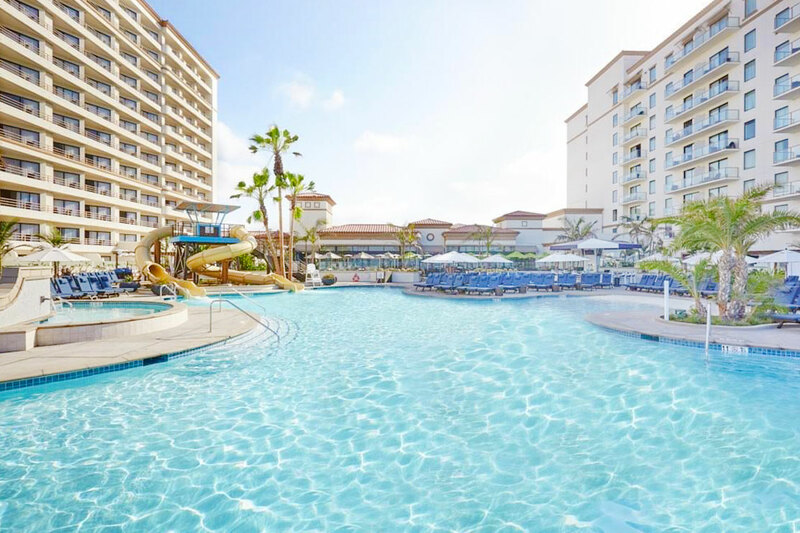 With a sparkling swimming pool, two winding waterslides, bonfires and access to the white sandy beach, The Waterfront Beach Resort is the perfect escape. 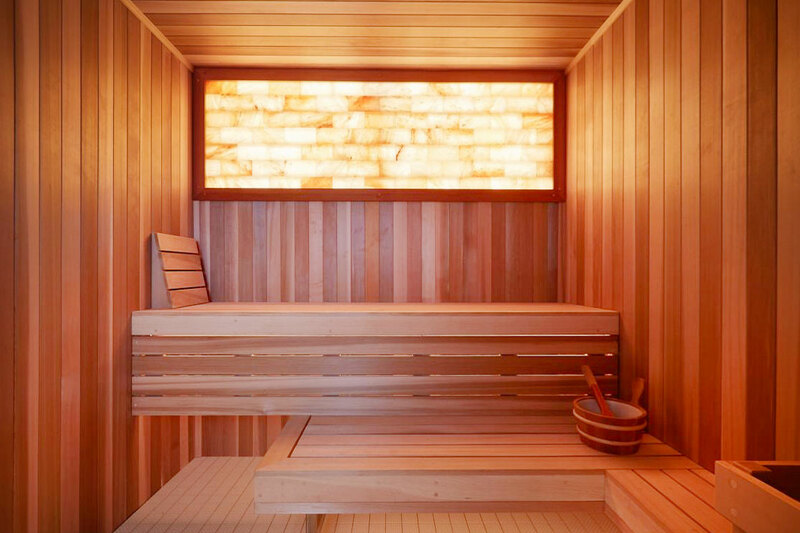 For the ultimate luxurious retreat, book a Spa Pass and enjoy soothing amenities including a sauna, steam room and beautiful outdoor garden lounge. 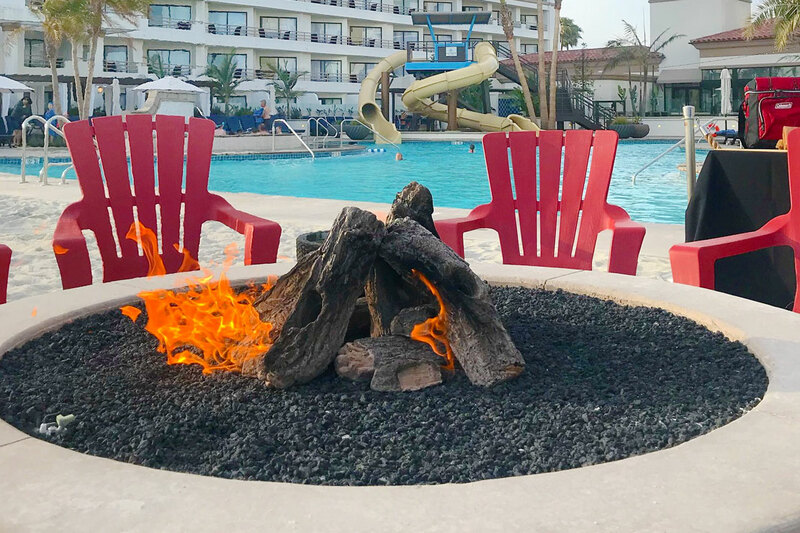 Whether you prefer to splash in the pool or roast marshmallows by the fire, the Waterfront Resort features ideal amenities for a picturesque daycation! Beach Cabanas do not include pool access. 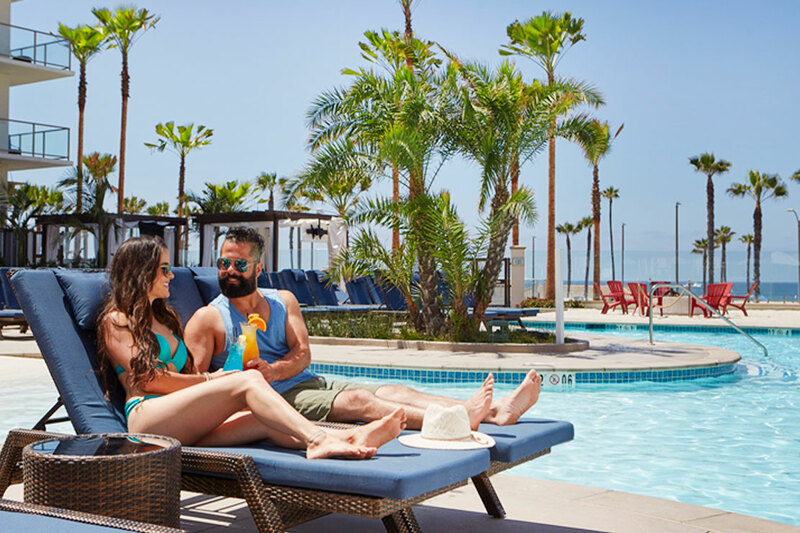 For pool access, book a Day Pass with your Beach Cabana. An 18% service fee will be applied at check-in. Beach Bonfire Experience does not include pool access. For pool access, book a Day Pass with your Beach Bonfire Experience. An 18% service fee will be applied at check-in. Boardwalk Lunch Experience does not include pool access. 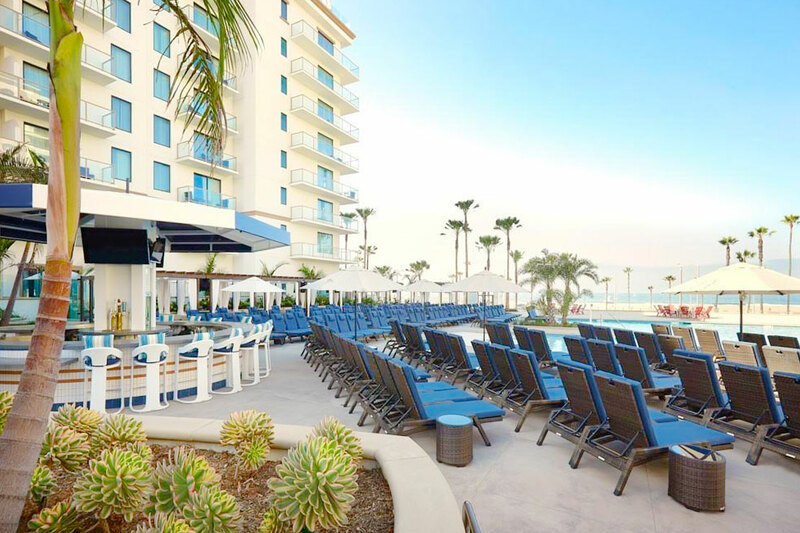 For pool access, book a Day Pass with your Boardwalk Lunch Experience. Sales tax and an 18% service fee will be applied at check-in. Day Passes, Spa Passes and Boardwalk Lunch Experience can be cancelled by 11:59pm PST on the night before your booked date. 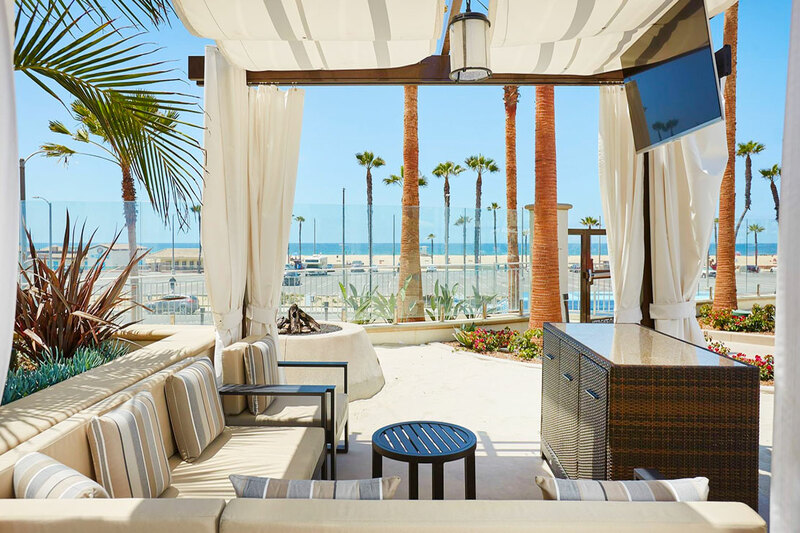 Cabanas and Beach Bonfire Experience can be cancelled by 10:00am PST on the day before your booked date. April 20, 2019 Marianne E.
Great experience for my 10 years old daughter and her 4 girlfriends! She celebrated her birthday and their spring break as well. We stayed both the pool and went to the beach too. Perfect day for all of us! Resort pass is amazing! We’ll try other resort soon! Daycation all summer on my days off! April 20, 2019 Kimberly P.
It was Great! I went two days in a row, first by myself and the next day with girlfriends , we loved it! No complaints, from the Concierge to the towel service everyone was kind and helpful. During the busy season I would encourage pass users to come as soon as the pool opens to have a choice of pool chairs. I've booked my next day to take my Mom, she's so excited!